New DIY Sludge Removal-var2 Removes Oil Sludge Quickly, Safely, Affordably! Sludge Removal: Prevent Sending Your Engine to an Early Grave. Sludge removal contact Info: On a cell phone, to ask a question, order items listed, call me...george at 512 665 3388. Mega Power's Engine Sludge Removal is an easy to use product that can prevent this problem with your car by special cleaners with conditioners. 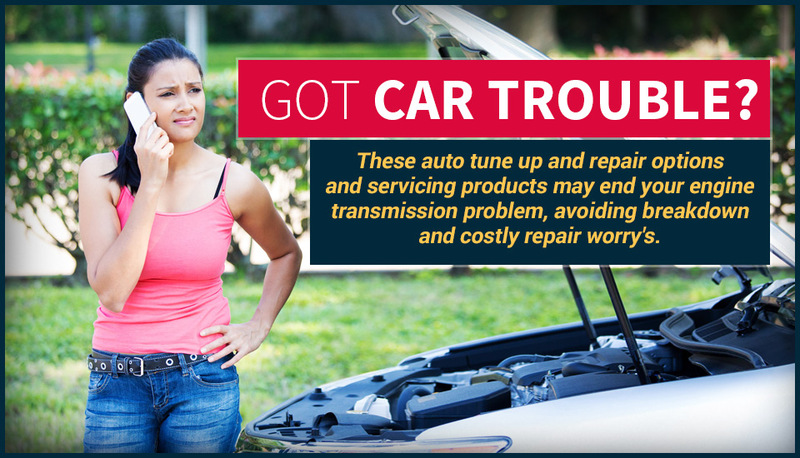 But, how do you get the gunk that’s choking your engine - out? Have a mechanic clean and overhaul it. $2500 up.. Follow the simple method below. Under $100. Best Remedy! Since you know that sticky mess is sapping your engine's horsepower and upsetting its normalcy, and costlier alternatives may not be an option -if you read this far, this is what you neeed to order today as your remedy! Why this is as a good option for your motor and budget. If it doesn't get your motor back to normal - you'll get your money back - no hassle. While complex in what it does, the install is easy, and driving with it in your motor makes it work better, and opposite of every other product. Or go into debt for a new motor, or vehicle as your remedy! In any case, for our part, you know our offer. So, why not give it a try first! Out of every 100 customers we have a 98% success rate. Just a few refunds last 267 days. A 2 step method where you add 3 items to the fuel tank and engine oil, then drive. And a week later you Add the other 3, One just before an oil change. The 2 remaining items add on top of the fresh oil. Cleaning and recovery occurs using the motors movements to clean. All sludge stuck in non essential surface areas are not directly removed as that is not the trouble makers for you. While cleaned in time, right now cleaning and operation of critical parts are done first, and its sludge removal ingredients recovers lost power and zip, thereby, returning your motor back to its best working order - while cleaning of other areas continue as you drive. This is what your motor and your budget needs - before worsening problems appear! Order below. Mega Power Engine Sludge Remover Treatment. Includes 6 items needed, easy-to-install directions, phone help if needed, satisfaction guarantee, about 3 day Fedex delivery to your door. About $250 if a local shop sells and installs it. Under $100 if you do it yourself. Nothing to take apart. Just $80 and $17 shipping Total $97. Pay by any cc. Secured. Click cart button. But, how do you get the gunk that’s choking your engine out? All sludge stuck in non essential surface areas are not directly removed as cleaning and operation of critical parts are done first, and its ingredients recovers lost power and zip, thereby, returning your motor back to its best working order - while cleaning of other areas continue as you drive. This is what your motor and your budget needs - before worsening problems appear. Order below. Mega Power Engine Sludge Remover Treatment. Includes 6 items needed, easy-to-install directions, phone help if needed, satisfaction guarantee, about 3 day Fedex delivery to your door. About $250 if a local shop sells and installs it. Under $100 if you do it yourself. Nothing to take apart. Just $80 and $17 shipping Total $97. Pay by any cc. Secured. Click cart button. Please note: All sludge stuck in non essential surface areas are not directly removed as cleaning and operation of critical parts are done first, and its ingredients recovers lost power and zip, thereby, returning your motor back to its best working order - while cleaning of other areas continue as you drive. This is what your motor and your budget needs - before worsening problems appear. Order below. Sludge can be everywhere in your motor a 1/2 inch thick, but the trouble only covers surfaces about the size of your palm that have gooey tar-like residues causing your motor problem. - nothing to take a part. Just add - several new cleaners with anti-floculents, Plus conditioners, lube enhancers, worn surface rebuilder's and protectors. Then drive to have a happy running vehicle again. See Sludge removal-var2 ordering info...here. Our sludge removal-does so, not for thousands, but as low as $100 guaranteed! These are alternatives you need to know about to make a good decision on what to do about it. Sludge removing remedies... What The mechanic does. Now, you could let your mechanic do a total motor dismantle, clean, and rebuild. That’s an involved, costly, time consuming job. And he may find a lot more stuff to fix as he’s tearing your motor all apart. And when he’s done he could hand you a bill for over $2,000 or more, maybe much more - if a diesel truck, tractor, RV, or such. Our method describe below, removes harmful sludge for under $100! Part store engine flush additives. And forget about solvent engine flushes from auto parts stores. Sure, they’re quick. And they’re cheap. And they do cut free engine deposits. But they can’t control their removal. On the one hand, removing sludge that way spreads microscopic particles all over the place. And this often blamed for clogging other vital areas of your engine depriving them of oil. What’s worse, solvent cleaners can remove the good films and lubricants removing the film seal on valves and pistons, making you lose even more horsepower. You could wind up on the phone with that mechanic anyway. That cheap solution may end up costing big. A Money Back Guaranteed Way. Mega Power’s Easy 2 Step System is detergent based, not solvent. Mega Power’s advanced scientific formulation actually zero's in on sludge and sticky residues on and binding your motors piston rings, valves bearings and such. Those are known to be the trouble and power losing culprits. Not sludge elsewhere sleeping. Mega Power holds sludge remove in suspension for safe removal, not allowing it to creep, migrate and settle causing you even more problems. And Mega Power does more than just clean your engine. Mega Power also restores crucial lubrication with MC + a Super Penetrating Lubricant. MC+ will crawl and reach every part of your engine's moving part surfaces - along with the cleaners, freeing and smoothing their wear and sludge roughening condition. This reducing friction aid, along with its unique cleaning advantages is what will return to a cooler, quiet, yet surprisingly stronger, more efficient engine! A longer lasting engine. That's what you want! Isn't it? And It’s an Easy 2 Step Process That You Can Do Yourself While Your Drive! Step 1. Add the 3 items shown to the fuel tank and motor's oil. Drive as you normally would for a week to let those cleaner conditioners work. Step 2. During an oil change a week later you change out the dirty oil and add the other 3 items to the new oil. Job done. That it! This completes the cleaning power restore procedure! That's the best and cheapest way to remove sludge. Simple, right? Order now and in a few days have your engine back to normal again - guaranteed! Order here. You’ll enjoy better gas mileage, and your older engine will purr like new. We believe in and stand behind Mega Power. We offer a Full 100% Money Back Guarantee!